I can and I will…. 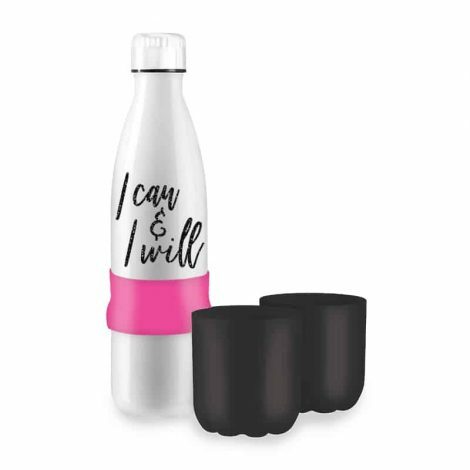 drink the wine in this portable container with cups! This stainless steel container is perfect for taking to the park, beach, or where ever you need a beverage. Double-walled construction keeps your drink chilled. 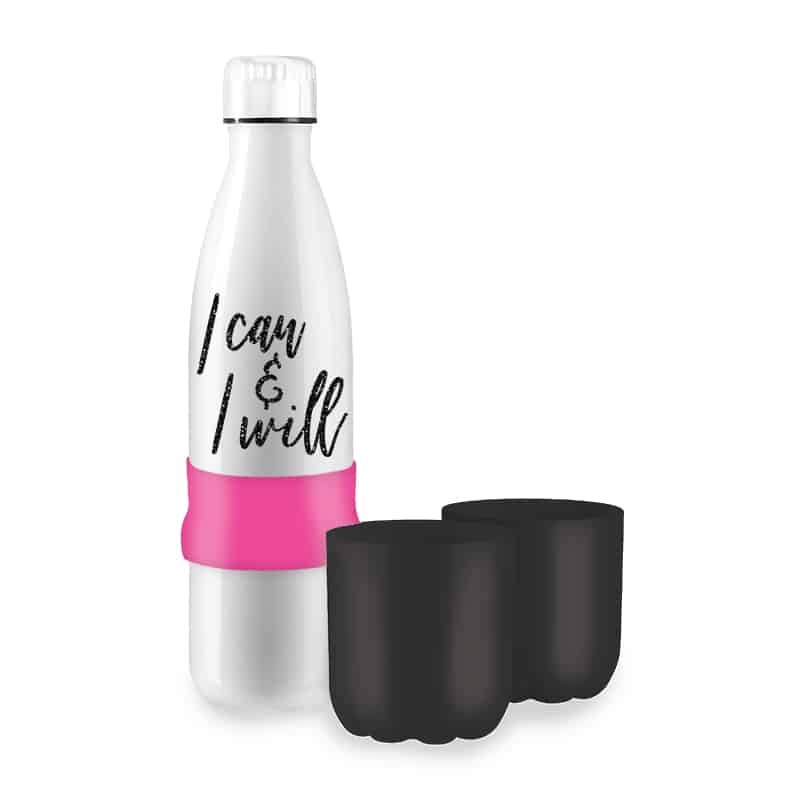 Comes with 2 cups attached by a silicone band for sharing. Text Reads: I Can and I Will!